Have been reading Gospel of Sri RamaKrishna. The book every Sai Baba devotee should read. Just like Shri Sai SatCharitra, it is not just a book. These two are not books, but bottles of divine nectar, which never exhausts. Keep drinking the divine and sacred nectar and the flow is never exhausted in fact as the mind gets cleared by the flow the intensity, depth and the strength gathered on the mind increases. The mind gets soaked in the divine love and grace. 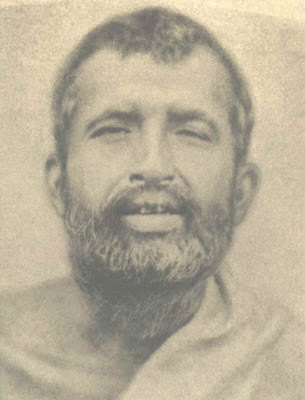 There would be some minds thinking, what is Sri RamaKrishna Paramhamsha doing on the blog dedicated to Shirdi Sai Baba. Have faced remarks like this one quiet often. Sai Baba is all powerful, infinite, SatChitAnanda without the beginning and without the end. Devotion to Him will lead us to Him. No doubt about it. As devotees of Sai Baba how can we forget what often slept through His mouth Sabka Malik Ek. How can it be forgotten that Sai Baba asked many of devotees to read the religious scriptures and those were not restricted numbers. Sai Baba always looked and for the quality of devotion and love for God to be deepened in His devotees. Devotees might have reached him through listening, seeing or feeling a miracle or chamatkar. Or getting their desires fulfilled. Then what was taught or indicated was the love for God, devotion. Love for Him as He is one with God, and loving Him is loving God. The Gospel of Sri RamaKrisha if one looks at it as a book is just for that. Devotion and love for God. Reading the following the mind went in depths asking only for the Love of Sai, discarding everything. Master : "Pure love of God. I prayed to the Divine Mother (When i read this Sai Baba is my Divine Mother there is no difference between Kali Maa or Sai Baba). ' O Mother (Sai Baba), here, take Thy dharma; here, take Thy, Adharma; and give me pure love of Thee. Here, take Thy virtue; here, take Thy vice; and give me pure love for Thee. Here, take Thy knowledge: here, take Thy ignorance: and give me pure love of Thee. What wonderful words, the divine strength and energy was already working on the brain and the mind. These words read, put it totally drenched in love of Sai Baba. How wonderful i don't want the Dharma or Adharma, virtue or vice, knowledge or ignorance. Normally it is seen that the mind cling or want to keep the Dharma, the virtue and knowledge. 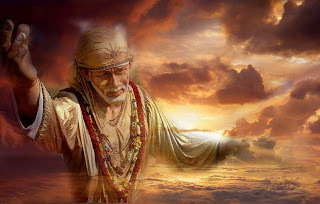 It gives the opposites of all these to God it is devoted to, in our case Sai Baba. Good things we want to keep and bad things O Baba take these away from me. The above prayer had a great impact and good results on mind. Only pure love of Thee, not even the virtues, Dharma or knowledge which is yet a vanity. Another quote we may read as Sai Baba is our Loving Mother. MASTER: "Pray to the Divine Mother with a longing heart. Her vision dries up all craving for the world and completely destroys all attachment to 'woman and gold'. It happens instantly if you think of Her as your own mother. She is by no means a godmother. She is your own mother. With a yearning heart persist in your demands on Her. The child holds to the skirt of its mother and begs a penny of her to buy a kite. Perhaps the mother is gossiping with her friends. At first she refuses to give the penny and says to the child: 'No, you can't have it. Your daddy has asked me not to give you money. When he comes home I'll ask him about it. You will get into trouble it you play with a kite now.' The child begins to cry and will not give up his demand. Then the mother says to her friends: 'Excuse me a moment. Let me pacify this child.' Immediately she unlocks the cash-box with a click and throws the child a penny. Before this I am thinkin that Maa Durga is the greatest of all gods, demi gods and saints but now you have open my eyes by saying that saibaba and kali maa are same. So kali maa is none other then saibaba. I only love maa durga but now all pictures are coming clear to my eyes that really god is very great who only knows how to give nothing except that. Thanks to you also who become the messenger of god to open my eyes. I worship sri Sai baba as Guru but not as GOD, GOD is formless. Sai baba used to say "sabka malik ek" it means GOD is ONE. But As per Purans and Vedas, Shakti (Durga or Parvati) is one who converted 0 to one GOD, that means Shakti gives the meaning to create this Universe. Yes Sai baba can be an incarnation still Incarnation cann't be GOD. Truth is always one. GOD is that one. Saibabaji speaks the same worship that ultimate GOD.